3211 Fire Side Drive Cheyenne WY is coming soon! Are you looking for a new home? Be on the lookout for this great five bedroom, three bathroom home with vaulted ceilings in Saddle Ridge! It will go live on the market Friday, January 12! Beautifully remodeled kitchen with alder cabinets, granite counter tops and oversized kitchen island. It has a custom finished basement with a large wet bar and a huge family room. This home has been updated throughout and offers well maintained carpet and floors. 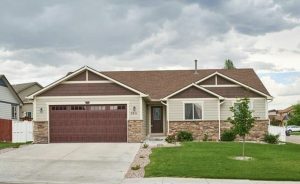 3211 Fire Side Drive sits on a well landscaped, corner lot with a fenced back yard and sprinkler system. It is easy to picture BBQs, running and playing in the backyard! A spotless property that may be perfect for you and your family. Other homes for sale in the Saddle Ridge area; 3616 Campfire Trail, 3260 Campfire Trail, 6846 Hitching Post Ln and 3610 Gunsmoke Rd. Contact Luis Medoza at 307-275-0162 or visit his website for your personal showing!